St Aldhelm's Head (sometimes called St Alban's Head) is a stretch of coastline just south of Worth Matravers. A lovely path leads around the headland to an old 12th century chapel atop the cliffs. I was headed for the chapel late on a summer evening, following the path as it wound up and down the undulations of the land. 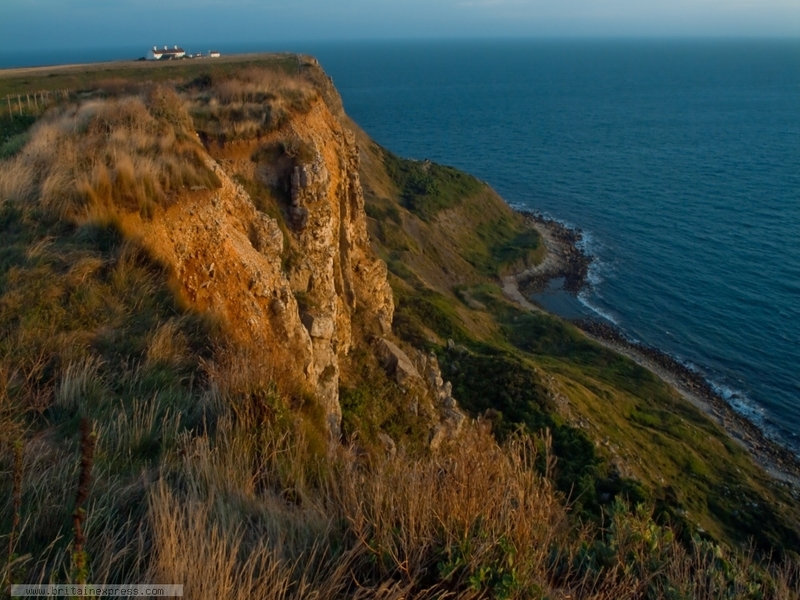 The sun was setting out over the Channel, and lighting the cliffs with a beautiful orange glow. It was almost surreal, but so beautiful that I just had to stop and photograph it - even though it meant I ended up walking back to my vehicle in the dark!